That chap had some imagination; thinking up the idea of space, life on different planets, light-speed travel, lasers, lightsabers…you get the picture. But of course, he didn’t write Star Wars - that was George Lucas. 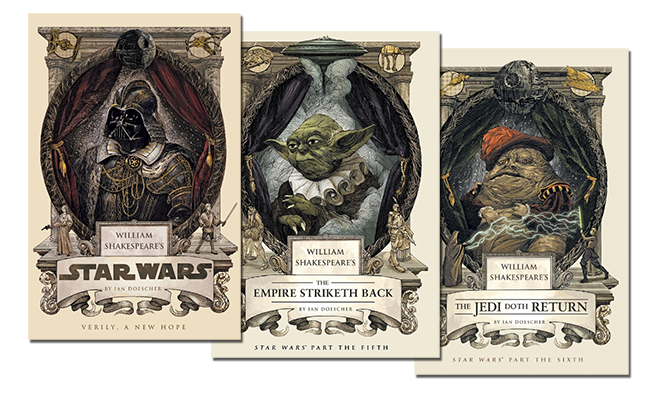 However Ian Doescher has in fact adapted Lucas’ films in the style of Shakesperian plays - with great success. I found the first book in this series - Star Wars: Verily, a New Hope - at the Shakespeare Birthplace Trust gift shop, when my girlfriend treated me to weekend break in Stratford-upon-Avon. Being a fan of both Lucas’ iconic saga and the bard’s plays, I couldn’t resist buying it. I admit, it was a bit odd reading Star Wars in iambic pentameter, but I soon picked up the flow. Ian Doescher even incorporates some of the more iconic verses from Shakespeare’s plays. 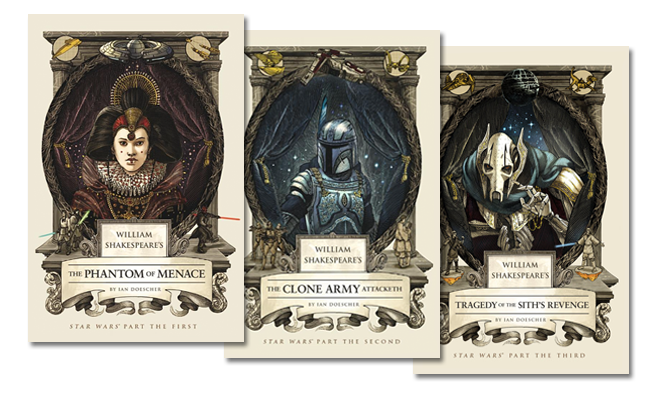 I picked up on: Hamlet, Julius Caesar, Romeo and Juliet and Henry V.
One thing I particularly enjoyed is the way in which Ian Doescher gives R2-D2 an interior monologue, providing an insight into this quirky little droid. Throughout, Doescher is fantastic at using stage direction, asides and soliloquays to give depth and meaning to key scenes and characters. 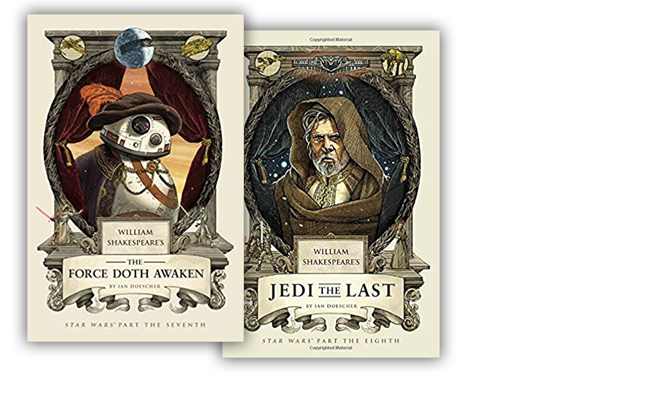 I’m pleased I found these books and would recommend them to any Star Wars fan. They’re not very long and are great fun, even if you’re not the biggest bardolater. DODONNA: –Go ye then, and Force be with you all!